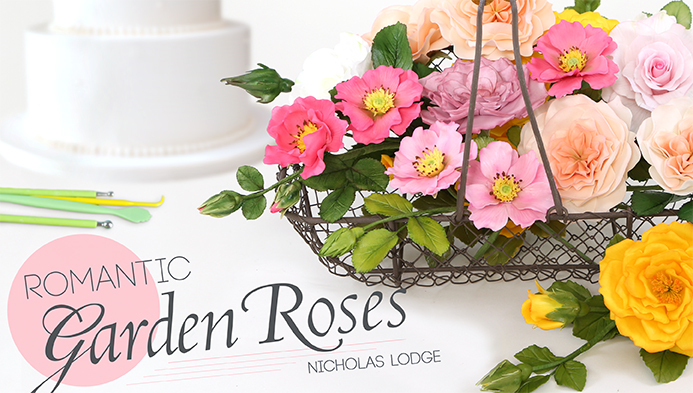 Making gum paste flowers may not be as hard as one thinks it may be. While it is not that difficult, it does take time, patience and precision. At first I was intimidated at making gum paste flowers and it took me sometime before trying it. By looking at cakes with realistic looking flowers (and some really are jaw-dropping) gave me the nudge to finally try making it. And I was not disappointed. Gum paste is a sugar dough that has a special ingredient added - Gum Tragacanth. This essential ingredient makes the paste stretchable, elastic and pliable; well, sort of like a gum! Because of this, gum paste can be rolled very thinly, even as thin as paper. And this what makes a very real-life looking petals for flowers. It also dries hard and you can pretty much keep the item forever. You can make gum paste or buy it ready made. So far, I haven't tried ready made ones, so I have no opinions on it yet. Update** I've started using Satin Ice Gumpaste and I love it. Texture is great and it holds its shape very well. Gum Tragacanth powder can be found at cake decorating stores and, of course, on-line too. I discovered along the way that there are are good quality Gum Trag and not so good ones, too. Grade A Gum Trag are what you really want to use. Wilton sells a similar product called Gum-Tex, and I find that the gum paste does not stretch as much. If you however only have access to Gum-Tex, you are still better off with this than having none. Another alternative to Gum Trag and Gum-Tex is Tylose powder. Tylose can be used to replace gum trag in a gum paste recipe. I find that the gum paste feels just as the same as if using gum trag. Another plus is that it is cheaper, too. I find that I use Tylose powder more and more nowadays because of this. 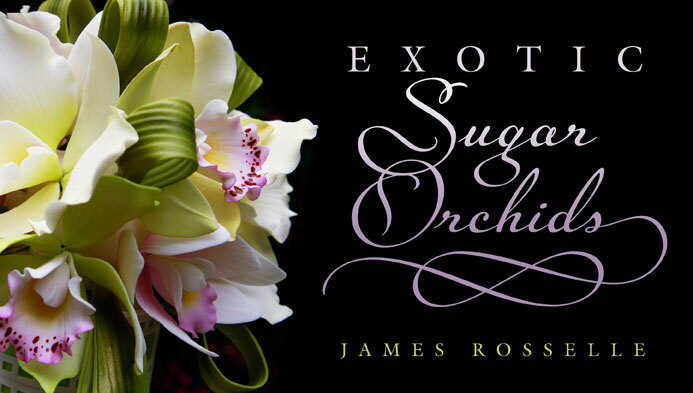 The recipe I like to use is from Scott Clark Woolley, a master sugar artist. 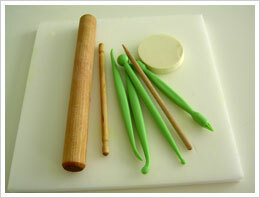 His website www.cakesbydesign.cc is full of goodies and all things you need for anything gum paste. I find that his recipe gives the most elastic paste. Another gum paste recipe that I had tried is from Wilton. I use this recipe with their product,Gum-Tex. As I've already mentioned, it is not as stretchy but it is easier and faster to make. 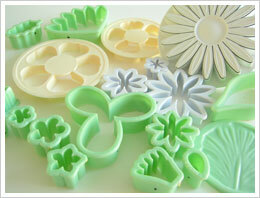 Gum Paste cutters will make your life easier when making gum paste flowers. They come in all sizes, shapes and made out of different materials. Cutters come in either plastic or metal. Metal cutters cuts sharper edges than plastic ones. They do have a tendency to rust, so when washing metal cutters make sure they are dry before putting them away. 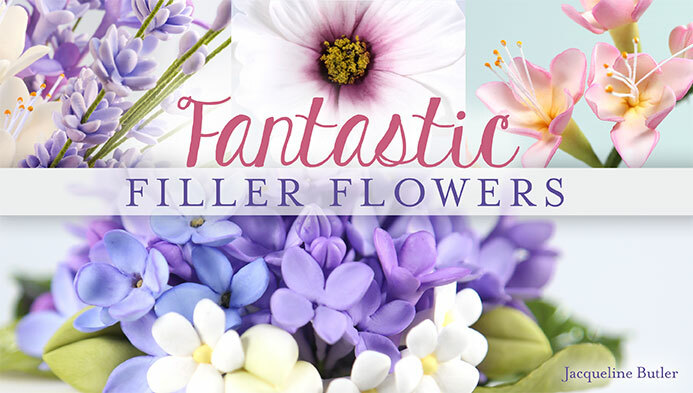 Other tools are also needed for making these flowers. A small rolling pin is needed to roll the gum paste. 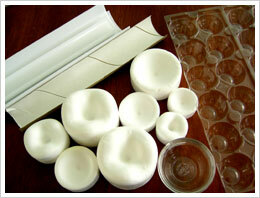 There are also tools that help in shaping and marking gum paste, like the ball tool, veining tool, dog bone tool, etc. 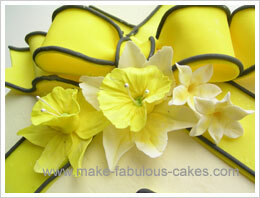 Foam pads are also helpful when making and shaping the flowers. 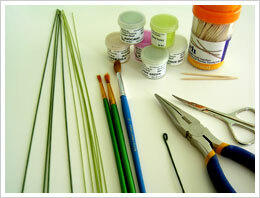 Different wires with varying gauges are also used in making gum paste flowers. I use long nose pliers to cut and bend the wires. Fine scissors are very handy in detail work. 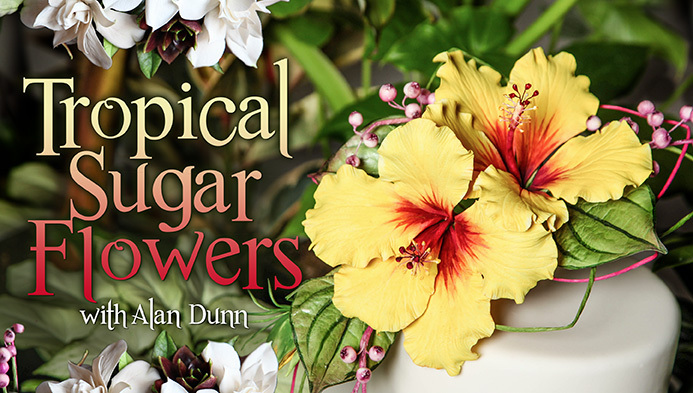 Petal dusts are used to color the sugar flowers. And fine brushes are used to apply them on. Flower formers are good for shaping the flowers. I like the styrofoam ones from CelCakes Sugarcraft , they come in different shapes and sizes, too. I also make my own formers; I made one from the carton tube inside the paper towels and cut it into two as flower formers. I have also used egg cartons, foil, bowls and even rolling pins. Look around the kitchen and see what you can use, be creative! 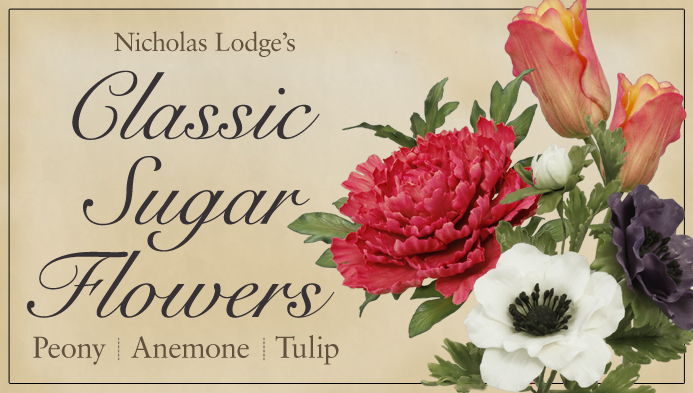 So, its never to late to start making gum paste sugar flowers. Keep in mind to have fun while doing it! 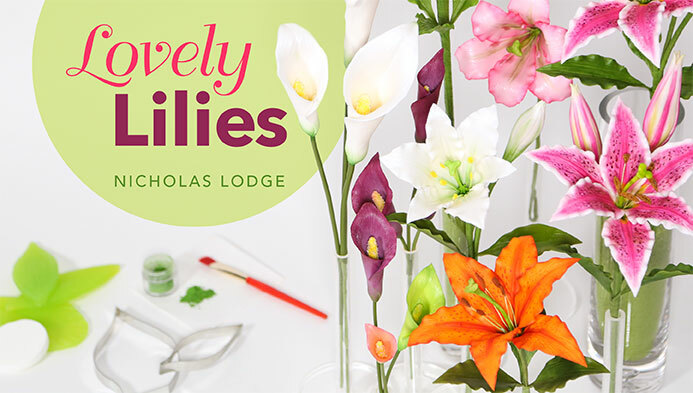 With just a little practice, you too can make beautiful lifelike flowers that will have people saying 'What?! That's made out of sugar?!'. Brighten up your cake with these dainty little gum paste daisies. Not only that they're super cute, they are also fast and easy to make!